How Much Carbon Dioxide Is Emitted From Smallholders' Farms on Peatland? Walking on Indonesian peat that has been drained is like walking on a thick, bouncy, rubber mat. 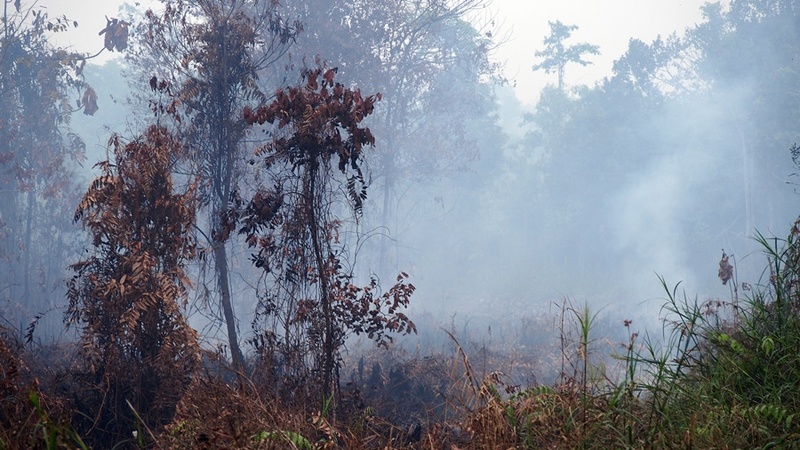 There are some 20.6 million hectares of peatland in Indonesia, nearly half the global total. That’s a little more than the area of Belarus and a little less than Ghana. If peat swamps are not drained, they’re mostly water with a suspended layer of dead leaves, branches and occasional tree trunks in early stages of decomposition. Despite seeming a perhaps inhospitable environment for plants, peat-swamp forests are typically very dense, with tree and understorey plants specially adapted to the watery, soft conditions. If you do try and take a walk through such a swamp, when your feet go beyond the roots of the trees they sink deeply before finding a branch or trunk that holds. These deeper bits of trees could be very old indeed. Carbon accumulation in tropical peat, compared to other types of forest, occurs not because of high plant production, but rather owing to slow decomposition of roots and wood under anaerobic conditions. Southeast Asian peat swamps can contain up to 10,000 years of litter accumulation in peat domes more than 10 metres thick at their core. When forests growing on peat are cut and the swamp drained, carbon emissions in the early years after drainage range 100–200 tonnes a year, which is similar to the belowground biomass of the forest that preceded it.